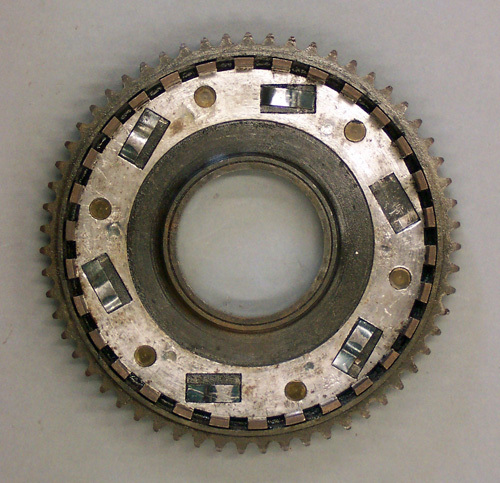 Clutch sprocket #2039-33 has 63 teeth and was used on 1933 & 1934 45” twins with reverse and 1935 to 1937 Servi-cars. 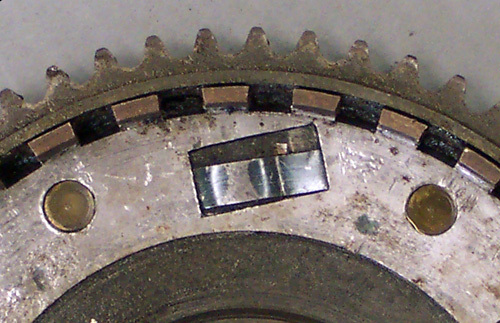 Clutch sprocket #2039-33A looks similar to #2039-29A but has only 59 teeth and a 2-35/64” center hole for roller bearings. 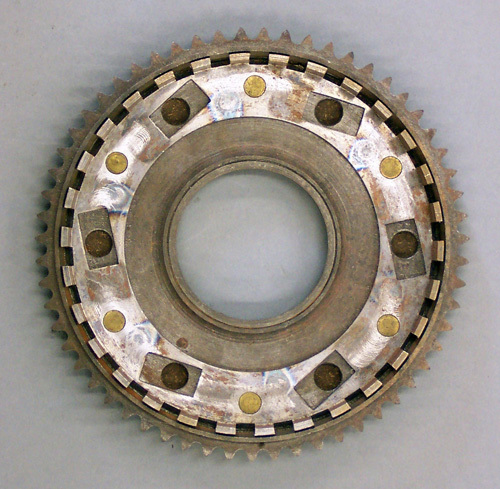 This clutch sprocket was used for 1933 & 1934 reversing models and all 1935 to 1938 45” twins. 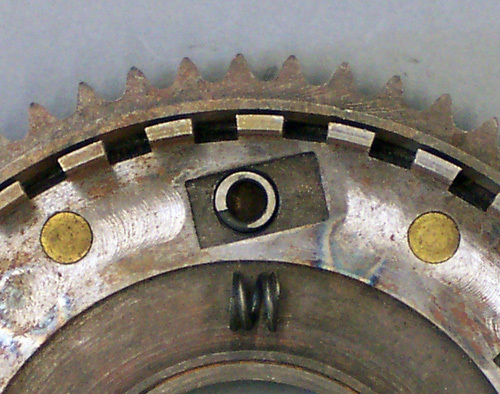 Both inner and outer fiber discs are still riveted to the sprocket. Clutch sprocket #2039-33A was modified in 1939 to accommodate six springs between the outer fiber disc and the sprocket. No longer was the outer disc riveted to the sprocket as was the inner fiber disc. 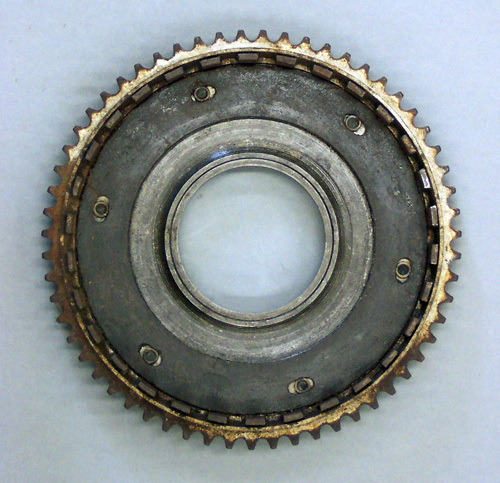 This clutch sprocket was furnished on all 1939 45”twins. The springs were made from tempered steel and given part number 2535-39. Clutch sprocket 2039-33A was again modified in 1940 by replacing the flat springs with coil springs. This clutch sprocket was furnished on all 1940 45”twins. The coil springs were given part number 2535-40. Although slightly different, all three versions of clutch sprocket #2039-33A can be used with 1933 & 1934 reversing transmissions and all 1935 to 1940 45” twin models. Page 9-9: The thrust cap shown in the second column is the early	thrust cap most commonly seen. 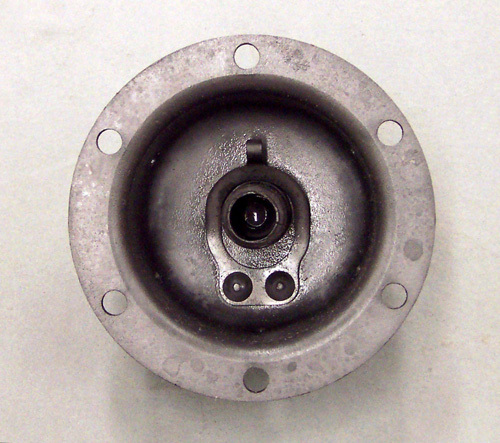 A redesigned thrust cap as shown below, having the same part number was introduced, possibly in 1932 or 1933, which has a locking clip to secure clutch spring adjusting nut #2548-29.